Johnson County, Indiana is home to two cities, six towns and a large unincorporated area. These communities, while having their own unique assets, combine to form a vibrant and amenity laden county. Through Aspire Johnson County, these communities have crossed municipal boundaries and worked together to meet challenges such as infrastructure and quality of life issues. Johnson County currently has a cost of living index that is 4.6 percent lower than the national average, according to Sperlings Best Places to Live. The county is committed to improving this number and keeping the cost of living as low as possible while maintaining a high quality of life for our residents. According to the 2016, U.S. Census, the per capita personal income is $44,386 and the median household income is $67,215. The median home value is $146,600. The median gross rent is $711 according to city-data web site. The current unemployment rate is 2.0 percent, well below the national average. Johnson County is truly an affordable place to live, work and play! Johnson County has a humid continental climate (Köppen climate classification Dfa). Like most counties in the Midwest, it has four distinct seasons. Summers are hot and humid, with high temperatures regularly approaching 90 °F (32 °C). Spring and autumn are usually pleasant, with temperatures reaching around 65 °F (18 °C). Winters are cool to cold, with daily highs barely inching above freezing. From Farmer’s Markets in Edinburgh, Franklin and Greenwood to walking trails in communities all over Johnson County, green living is a priority to our residents and indeed a growing and popular component to life in Johnson County. Our residents and local business employees are often seen taking advantage of the beautiful days on their bikes or simply walking the trails for exercise and recreation. This belief in green living extends to programs for energy conservation as well. Reducing our dependence on energy is always a priority for this county. The City of Franklin has launched a long-term commitment to building a world-class green community. The City of Greenwood has a Greenwood Community Gardening with up to 34 families participating. The City of Franklin has created a unique program for residents to honor and remember friends and relatives. A resident may donate funds for a tree to be planted in a city park in memory or honor of someone, providing a gift for the community, the environment and the parks. The Town of Edinburgh has had a Clean City designation, which comes from the Indiana Department of Environmental Management. 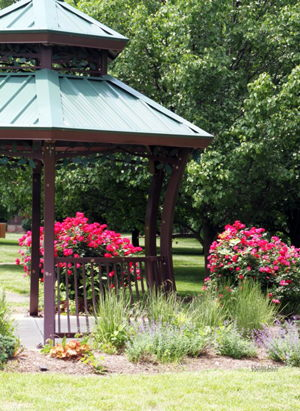 The Franklin Parks and Recreation Department maintains several miles of walking trails through the city, which connect various parks, community centers, the public library and the public pool. The City of Greenwood has a trails and greenways system vision that will make Greenwood a truly walkable city. Greenwood has multiple trails currently that connect the city East to West as well as Old Town Greenwood. They are committed to continuing the progress and maintaining these trails for their residents. Johnson County understands the importance of having convenient, quality healthcare available to our residents. There are several medical facilities in and around the county to handle any medical need your family may encounter. In addition, Johnson Memorial Occupational Health works hand-in-hand with businesses to develop a plan of care that is tailor-made and cost effective to ensure the best results for the company and its employees. Housing in Johnson County is affordable. As one of the most reasonable housing markets in the country, our residents enjoy superior quality living at an affordable cost. The market offers a wide choice of locations and housing styles. Historic homes, modern suburbs and apartment complexes offer a multitude of options for any lifestyle. 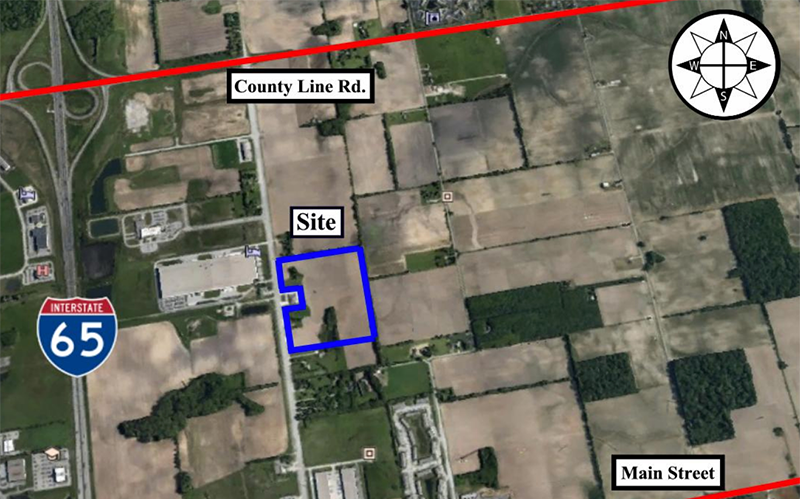 Executive housing is found in the Center Grove area of Northwestern Johnson County. Additions such as Kensington Estates offers executive and custom homes with a top ranked school district. According to Stats Indiana, the total housing units in Johnson County in 2016 were 59,836. Owner occupied were 37,876 with a median value of $146,600. The median rent was $711 per month. The Metropolitan Indianapolis Board of Realtors has been showing steady improvement in the housing market for the entire Central Indiana region, particularly Johnson County. Johnson County and all our communities work diligently to provide the residents with professional, courteous, and dedicated public safety officials. There is minimal violent crime reported (it is an anomaly when it is reported). When we need help, it is quickly and efficiently provided by compassionate, caring officials. Johnson County - Johnson County Sheriff’s Department currently has 56 merit deputies and numerous reserve deputies. These dedicated public servants patrol more than 320 square miles and protect more than 140,000 residents. In addition, this department also manages the county jail with 53 correctional officers. They also maintain the dispatch center for the fire and police departments in the county. This entire department is composed of many talented, skilled and highly trained professionals. The county also has several township volunteer fire departments including Nineveh volunteer, Trafalgar volunteer fire, Amity volunteer, and White River Fire department. These departments serve the unincorporated areas of the county as well as the communities of Nineveh, Trafalgar and Princes Lakes. Bargersville - Bargersville has made it their mission to provide professional, community-oriented police service to those they serve. Their police department has 6 full time officers with one civilian officer. The fire department opened a new station in December 2012. Their department has over 60 firefighters and paramedics ready to serve. Edinburgh - Edinburgh is a small community but has a strong dedication to all its citizens. Their public safety mission is to provide a prompt, courteous, and professional service too all its residents and visitors. The department has 10 full time officers and 9 reserve officers. The fire department is a volunteer force that has areas in three counties as part of its jurisdiction. They have 9 members. Franklin - Franklin is a thriving community in Johnson County that takes public safety very seriously. Their mission is to safe guard the lives and property of the people they serve. Their police department has 30 full-time officers and several reserve officers. The fire department proudly has 48 career firefighters/paramedics. Greenwood - The city of Greenwood receives over 60,000 people into their community daily, many drawn to the Greenwood Park Mall as well great businesses. This places a huge responsibility on their public safety departments but while it can be a challenge, they always live up to the demand. Their mission expresses this so well, stating that they work daily to prepare and maintain an well trained, healthy team that responds rapidly, works safely, and makes a positive difference. The police department has 46 uniformed officers and the fire department has 33 career and 70 standby firefighters and paramedics. Whiteland - Whiteland’s public safety department feels they exist to serve the community in a variety of ways and to maintain acceptable social order. They recognize the importance of feeling safe in your community, indeed it is a vital part of the quality of life of any community. The town recently hired a new town marshal who is continuing this philosophy in the department. The Whiteland Fire Department is a 100 percent volunteer force that feels they are more of a family than a fire department. They are there to serve and protect their neighbors, their friends, and their families.